Today is the beginning of a 34-day long fundraising campaign. Please look at the details and watch the video on my Hatchfund site. In brief, I am looking to crowdfund a portion of the total cost to record and release my recent composition, entitled “Those Who Remain,” for full orchestra and improvising soloist. 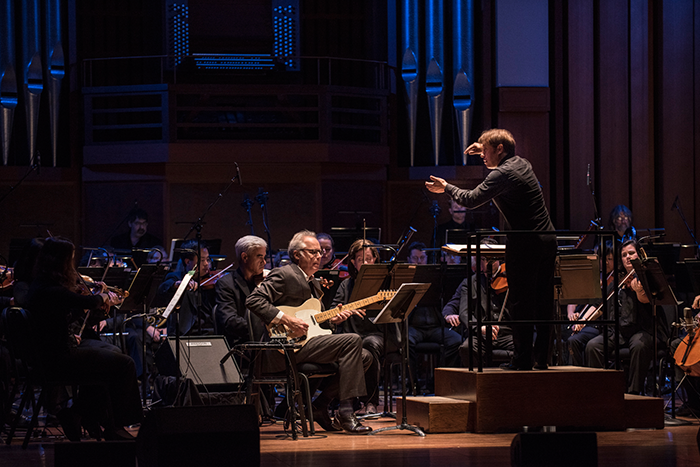 The piece was premiered by the Seattle Symphony last October and features Bill Frisell as the soloist. I hope you will take the time to look at the project, and all the perks, and donate whatever amount you are able. I have only used crowd funding once before, and I don’t take the decision to ask for your support lightly. This is a major project- my first composition for full orchestra- and it is exactly the sort of project that needs the support that a Hatchfund campaign can provide.